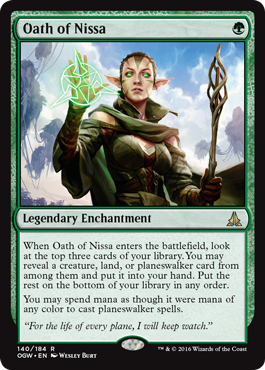 The first card I want to talk about that I’m really excited for from Oath of the Gatewatch is Nissa, Voice of Zendikar. I haven’t seen too many mentions of this planeswalker yet but I want to point out that she is a perfect slot into the previous Pro Tour breakout deck, Bant Tokens from Pro Tour BFZ. As you might recall, Sam Black and crew piloted this deck to amazing success at the last Standard Pro Tour. Now, I’m not saying that this deck is going to take down a huge tournament right out of the gate again – that is presuming too much on my part, where right now really I’m just trying to get a feel where the metagame might be going. Dark Jeskai is a much faster and more consistent deck than Bant Tokens, which is why it has fallen out of favor since the release of Magic Origins and the ubiquitous adoption of Jace, Vryn’s Prodigy (the little Jace that could). 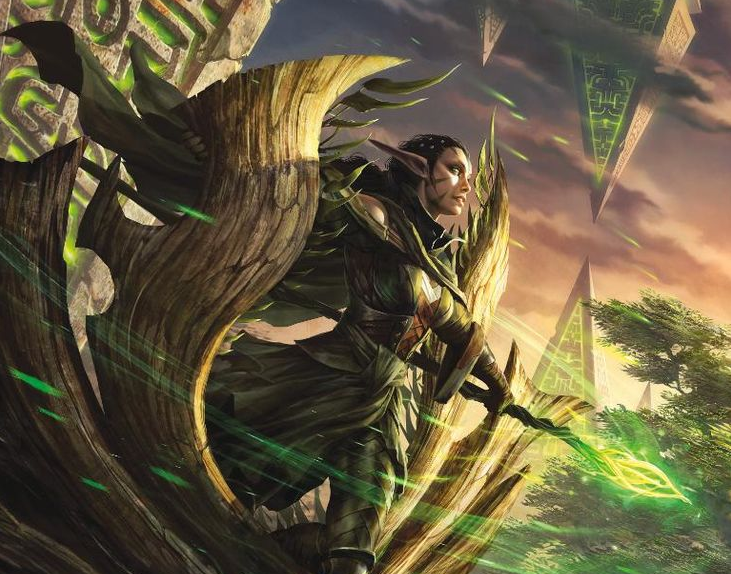 However, Nissa adds some versatility and stall to the deck that is desperately needed. Putting out 0/1 plant tokens and having the ability to pump your whole team is nothing to scoff at. She fits right into the curve at three mana, with a four mana followup Gideon being extra special. Plus, since we’re playing eight planeswalkers in a deck like this there might even be room for the new Oath of Nissa enchantment. At one mana, we can’t discount the usefulness of this enchantment since it acts practically as a one mana land tutor (and if there are better cards than lands well so much the better!) and then on top of that provides perfect mana for the three mana Nissa into the four mana Gideon, which normally would be somewhat difficult at the best of times due to needing two green for Nissa and two white for Gideon. 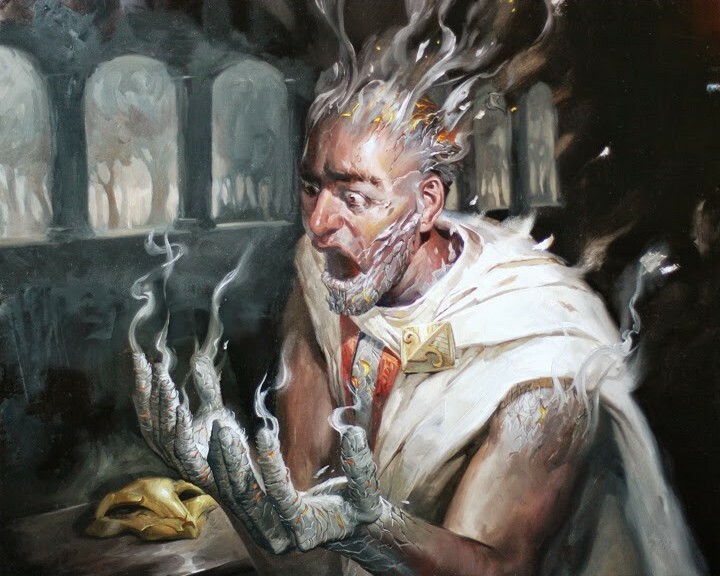 Being Legendary for this enchantment isn’t even a drawback – you’ll never need more than one in play at a time, so feel free to keep casting more to continue digging for cards you might need off the top of your deck. I really like this enchantment a ton, since it feels like a fixed Sylvan Library or Sensei’s Divining Top that is still fine for a format like Standard. 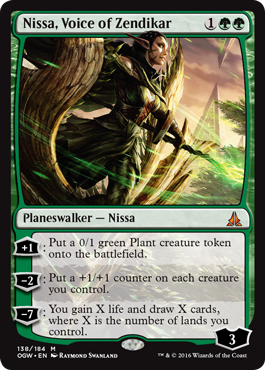 Nissa is currently preselling for $20, which I think is extremely cheap for a planeswalker that could definitely have four copies in the updated deck. Again, along with cards like Hangarback Walker and Gideon, Nissa adds another element of ongoing token generation and threat that needs to be dealt with. Typically, three mana planeswalkers have proven to be powerful and I would not be surprised at all for Nissa to help new and existing archetypes as the OGW Standard metagame pans out. Oath of Nissa is preselling for a bit more at $6-$7, which I think is pricey for a Standard rare. Remember, we are in a totally new era for Standard rare card prices, so I’m not expecting Oath of Nissa (even if it is found in a playset in a Tier 1 deck) to ever stay above $5 for long. There are just too many Standard rares out there these days, and if you consider the amount of product that will be opened for Expeditions in this set, you have a recipe for long term lower prices across the board on all set rares. I mean, if Siege Rhino could never break $5 for long, I certainly don’t expect this enchantment to. 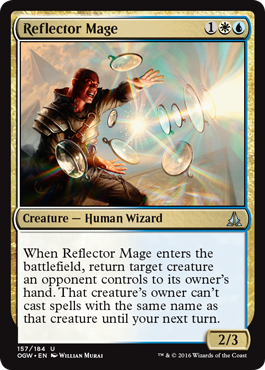 Next, I want to talk about this guy, Reflector Mage. This card seems really good to me. Obviously since it is an uncommon, the price ceiling is going to be something like $2, especially since it is a multicolor… but wow is that effect nice! I mean, this card could even see play in Modern or Legacy. Not being able to cast the card again during your opponent’s next turn is devastating, especially for combo-oriented decks. Plus, you don’t even have to cast this guy to get the effect – all you have to do is have him enter the battlefield, so the trigger still works with stuff like Aether Vial. 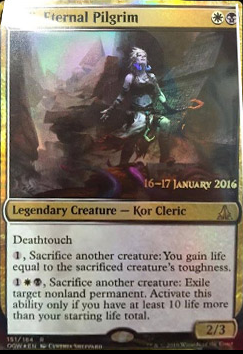 Just wow, very excited for this card and the possibilities it has in Standard and beyond. OK, now this card is what I think that Snapcaster Mage was supposed to be. Now, this card has limits that Snapcaster does not – first, it doesn’t have flash and it will always cost at least five mana to cast. So we’re not going to see any four mana Anticipates with a body being cast in Standard. Even though this is a terrible Snapcaster for eternal, you are getting a ton of value for you mana when playing this in Standard. It provides a 4/4 body with (some form of) evasion that primarily allows you to flashback an instant or sorcery card from your graveyard. 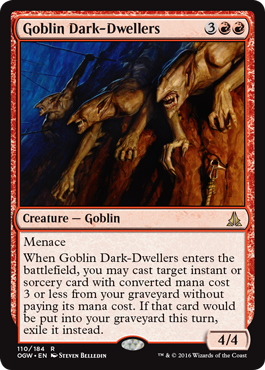 Just because this isn’t Snapcaster Mage doesn’t mean that we should count the Dark-Dwellers out – on the contrary, I think this card will be great in Standard and I expect to see Atarka Red or other decks adapt it quickly in the new metagame. 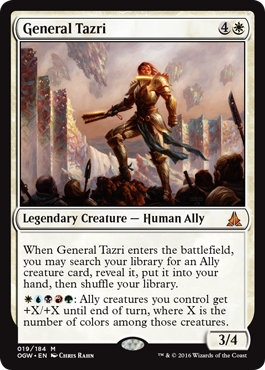 Along with some awesome new Standard tools, we’re getting some great Commander staples that I’m sure have been causing some buzz since their release. 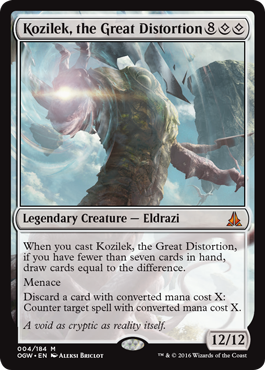 Obviously leading the wave is Kozilek, the Great Distortion, which is the big nasty Eldrazi that all the casuals have been swooning over ever since #Oathgate happened where key pieces of the set were spoiled on /r/magictcg. This guy is going to have casual appeal for years and years to come, so the play here is to wait about three months after the set’s release and then pick up your copies for stocking away for a rainy day. 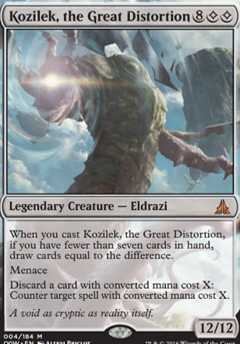 Like the past Eldrazi bretheren (and even the new Ulamog, which is starting to rise in price again…) this will be a great addition to your portfolio for years to come. The key is to time the market right and try to get in on the low point, hopefully when it hasn’t found a home in Standard and the set has reached market saturation. 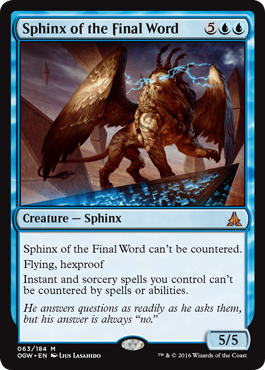 Holy crap is this Sphinx bonkers in Commander! As if blue wasn’t oppressive enough as it is! If this “resolves” (since there are ways of getting rid of this on the stack that aren’t counterspells) it is going to be so, so difficult to stop the combo player that just dropped this thing on the table. This card has to be the one of the most protected cards in Magic, and that is saying something. Yes, you can still wipe this with something like Wrath of God, but you’re playing against a blue player! Who is almost always going to have countermagic to back this up. Sure, it costs a ton of mana, but in more casual playgroups I can totally see this thing running away with the game. I’m actually really glad this card isn’t Legendary, because having this as your general would be super oppressive. Geist of Saint Traft is pretty bad but this would be even worse since you can’t counter it. 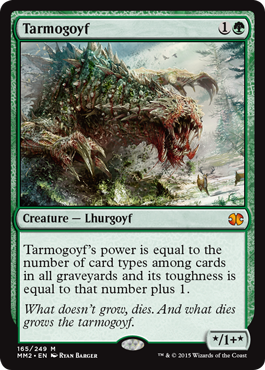 Just my two cents, maybe I’m overrating this card, but when I first saw it I couldn’t believe that Wizards made a card that is such a potential lockdown against you. 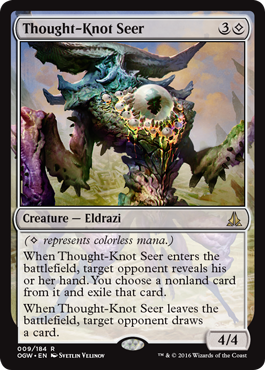 Finally, the last card I want to mention is Thought-Knot Seer, which has been getting a ton of buzz from the Commander crowd. 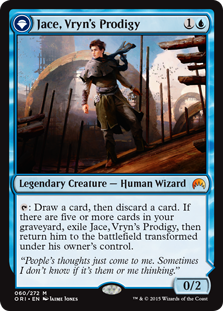 A four mana 4/4 with Thoughtseize+exile attached is really, really good. The fact that you get to let an opponent draw a card is irrelevant in multiplayer, since you can make an ally or other opponent that isn’t a combo player have a card. Since most Commander decks play lands that generate colorless mana, this is an easy slot into many decks. 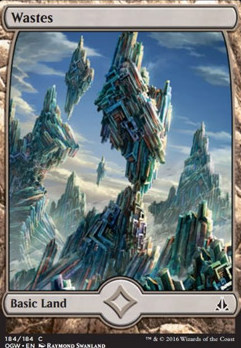 I for one can’t wait to update my Karn, Silver Golem deck with all the great new toys in the set, including putting basic Wastes into there so I don’t get blown out by cards like Ruination or Wave of Vitriol! 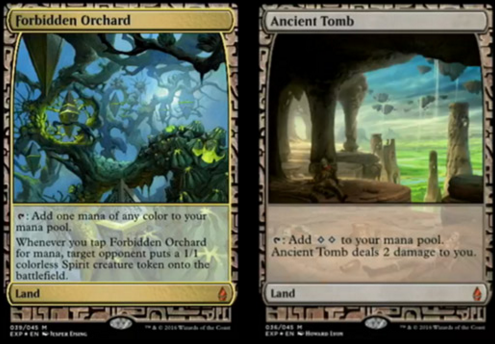 All in all, I’m really excited for OGW for both Standard, Commander, and beyond. This set is much more exciting than Battle for Zendikar, because not only do we get Wastes and add a brand new Basic Land to the game, but we also get much more powerful Eldrazi and Allies (along with an Ally Commander, which has a five color Commander identity and is easy to cast!) that many players are going to desire. Not sure if I’m onboard with whole 2HG theme for the release or whatever – personally, just always give me one-on-one matches. For those that enjoy that, though, you have something else on top of all the new cards to look forward to! When you’re sitting there, sifting through those bulk collections that I know (almost) all of you are buying throughout the year, one of the key types of cards that you should be looking for are uncommons. Yes, commons are important too in these bulk searches for treasure, however the uncommons are going to be what surprises you most in terms of value when you go to cash out your findings to the highest paying buylist. My goal today is twofold. First, I’m going to quickly review what the most valuable uncommons are that you should be looking for when sifting through the bulk of bought collections. Most of these cards will be obvious, but I’m betting that some of them might be a surprise. Then, I’m going to take this a step further and point out which foils you should also be looking for. Foils, as you’ll find, are quite an interesting market, and the amount of a play a foil receives in Modern, Commander, Legacy, or even Vintage could drastically alter the price. Many of the uncommon foils that I’ve found are actually are individual buylist line items despite their rare use, and you want to make sure that they aren’t being accidentally thrown in with the rest of bulk foils. Albeit, not that many collections will have a large amount of foils, especially foils that are from older sets, however foil picking shouldn’t be discounted either. Now is as good a time as ever for checking to see which uncommon foils are demanding the highest buylist and eBay prices in the market. With that out of the way, let’s review the nonfoil uncommons that are valuable to see if there might be any surprises in there. No suprise that Aether Vial, Top, and Duel Deck Demonic Tutor are at the top of the list. Essential staples in their respective formats, they carry the highest eBay price and buylist prices. Arbitrage is particularly close on Aether Vial – I could see this one jumping in price in the near future, especially with the next wave of Modern tournaments coming up early next year. Shardless Agent, Enlightened Tutor, and Cabal Coffers are all great uncommons with a ton of casual appeal. 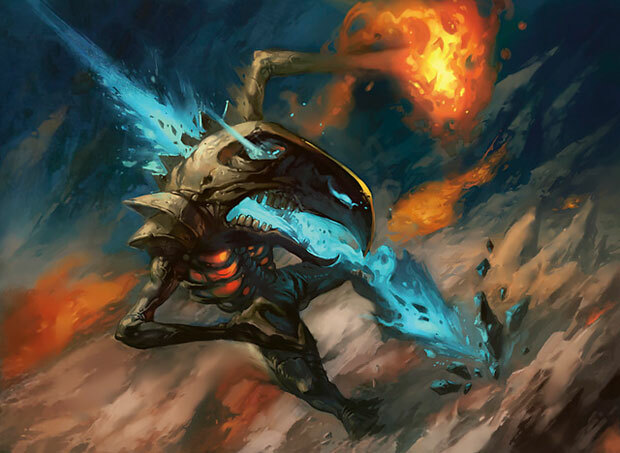 Shardless Sultai seems to come in and out of favor in Legacy, so there is demand there for the Agent but I think that is mainly coming from casual players. Enlightened Tutor and Cabal Coffers are still $10 even with reprints, which bodes well for their futures. I expect we’ll see reprints of these cards soon enough, but even with a reprint I could see them do a Ghostly Prison and still stubbornly maintain a price above $5 due to the “discovery” effect where newer players who just started playing the game see their power and move to pick them up for Commander. Mishra’s Bauble still surprises me – where is this played again? If anyone picks up a collection with Coldsnap, look for these guys among the bulk. 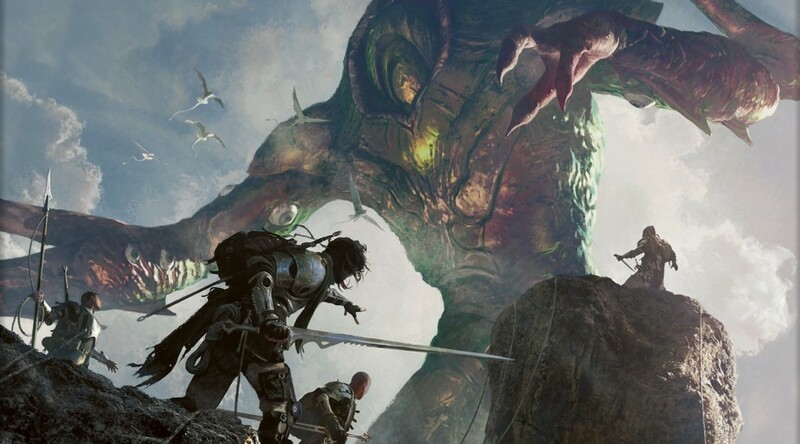 Sterling Grove is another uncommon that is valuable to vendors especially since the Daxos deck, though lacking green, could sway players to start creating enchantment based decks with green in them since Magic’s history is full of great green cards that support enchantments. Mother of Runes has a high eBay but low buylist price, which indicates to me that the eBay price is going to start going down. Mom’s should be traded to players looking for them, as buylist is fine for this uncommon but you will get more bang for you buck if you move them over a medium like Pucatrade. Ancient Ziggurat, Footsteps of the Goryo, and Guttural Response are the final uncommons I would like to mention. These uncommons are surprisingly valuable due casual and Modern appeal. Footseps and Response have their niche in Modern, while Ancient Ziggurat has a huge casual appeal and is an uncommon with only one nonfoil printing. All in all, I don’t think you guys will find this uncommon list that surprising. Let’s move on to the foils, which are certainly more interesting. Right away, I’m sure you noticed that this list is waaaay longer than the previous list. Suffice to say, there are plenty of foil uncommons that have gained value over the years. We see that Goblin Matron is currently commanding the highest buylist price – even with Top being sold at $110 eBay, Matron still eeks it out by a margin of $6. Bare in mind, this is one vendor who is offering the noted buylist price, so for other vendors the buy on Matron could very well be lower. Still though, it shows that the demand for foils is a totally different market than nonfoils since Matron didn’t even show up on the nonfoil list! Foil prices drastically reduce from there, where most are $30 each or lower on eBay. The obvious outliter here is 9th Ed. Urza’s Mine, but the eBay data is skewed since the buylist is only $25. Aven Mindcensor is still a sought-after foil, being present in both Legacy and Modern in D&T and Hatebears builds. 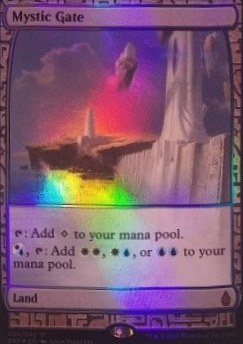 With only one printing in Future Sight, I don’t see this foil dropping until a reprint in a Modern Masters type set. 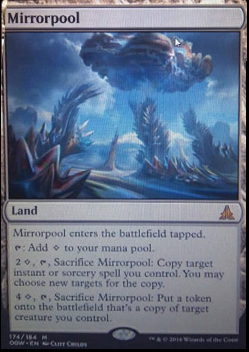 As we move down the list, we start seeing strange foils such as Boil, Crypt Rats, Serra Advocate, Reprisal, Mistveil Plains, and Breath of Life pop up. Did you guys even know these cards existed? Well, if you have foil copies then someone out there is looking for them, and finding stuff like this in collections is always a treat. Some interesting eBay foil prices include Izzet Staticaster, Sustainer of the Realm, Blood Artist, and Victimize. All of these on eBay are being sold at a fairly high price for a foil uncommon yet buylists are quite low compared to eBay prices. This tells me that players are seeking them, but stores aren’t – probably because they are very hard to move. Cards like these should probably be sold at eBay or TCG since even after fees you are going to get more for them than you would just outing to a buylist. Something to keep in mind in case you come across a few of these types of uncommon foils. I’ll be using these lists in the future when looking through collections, to try and maximize the amount I can get out of them. I hope you guys find the lists useful as well, since there are plenty of eye popping numbers in the data especially concerning uncommon foils. Let me know if I missed any uncommons from recent sets, nonfoil or foil, that you have your eyes on for value moving forward. I used the MTGPrice ProTrader data collection methods to aggregate this data, so if you become a ProTrader you too can get easy, current access to this data at your fingertips.